Sinter hot-pressed segmented blades is Diy Tools For Circular Saw. It is light and easily-carried, it can be installed on handheld saw,circular saw and it is mainly used in hosehold. It is General Purpose Blade, it can be widely used for cutting bricks, blocks, slate, concrete, granite, marble and other masonry with good efficiency. Segment blade is sharp, can be used for a long time, it won't be out of sharp after using for a long time. Also, it is can cut smoothly. Each Segmented Blade are packaged by a separated box, 5 pieces or 10 pieces are in one carton. 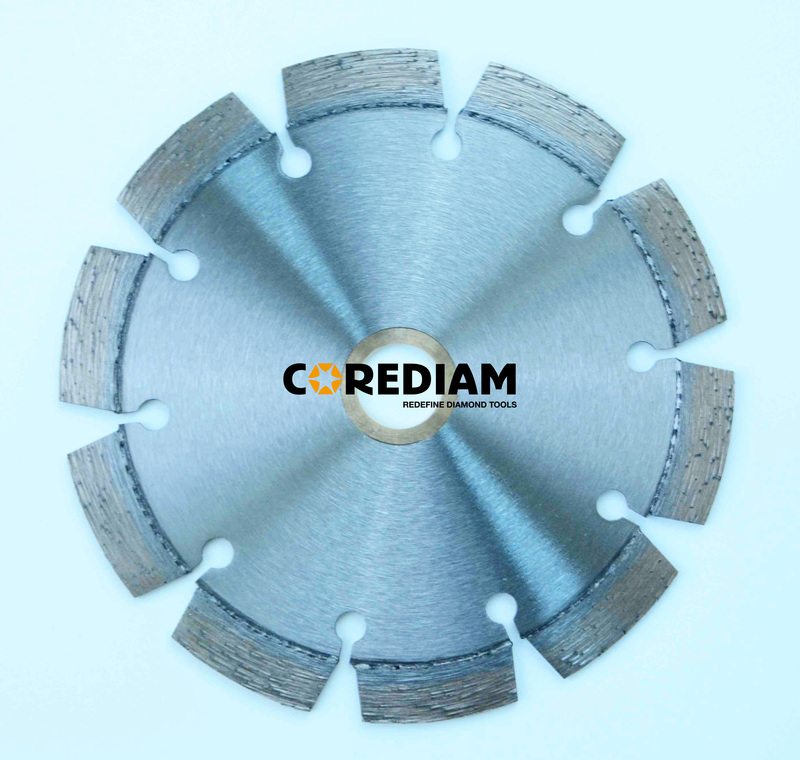 Looking for ideal Family Use Diamond Segmented Blade Manufacturer & supplier ? We have a wide selection at great prices to help you get creative. All the DIY Segmented Cutting Disc are quality guaranteed. We are China Origin Factory of General Purpose Segmented Saw Blade. If you have any question, please feel free to contact us.